The Florida State University (commonly referred to as Florida State or FSU) is a space-grant and sea-grant public research university located on a 474.5-acre campus in the state capital city of Tallahassee, Florida, United States. Florida State University is a research university with very high research activity as determined by the Carnegie Foundation. In 2014, U.S. News & World Report ranked Florida State as the forty-third best public university in the United States. 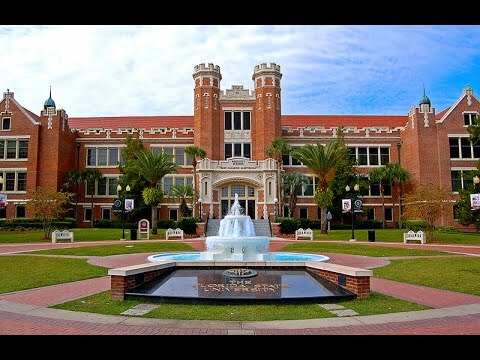 The Florida State University is home to nationally ranked programs in many academic areas, including law, business, engineering, medicine, social policy, film, music, theater, dance, visual art, political science, psychology, social work, and the sciences. The Florida State University aspires to become a top twenty public research university with at least one-third of its PhD programs ranked in the Top-15 nationally. The university owns more than 1,500 acres and is the home of the National High Magnetic Field Laboratory among other advanced research facilities. The university continues to develop in its capacity as a leader in Florida graduate research.